For some reason we always end up with brown bananas hanging around in the fruit bowl at the end of every week. Luckily banana bread is delicious and easy to make but I've made it so many times I can practically do it without looking at the recipe now, and honestly it's getting a little bit boring. Not the eating of it necessarily, that will probably never get boring, but making the same thing all the time? That part is getting boring. So I thought I'd try something a little different this week and try out a recipe for banana muffins instead. They don't look quite like the kind of muffins you'd buy in a store but given this is the first time I've ever made muffins, I'm pretty pleased with them! Preheat oven to 180C and line muffin tin(s) with 12 muffin cases. Sift the flour, baking powder, bicarbonate of soda, and salt into a bowl together, then set aside. 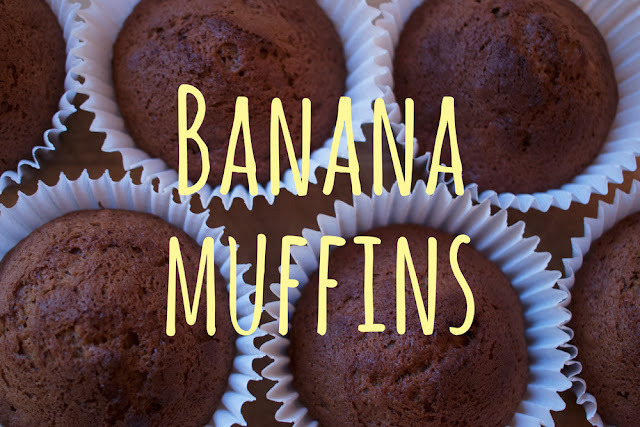 Combine the mashed bananas, sugar, egg, and melted butter together in a large mixing bowl, then fold in the flour mixture and mix until smooth. Spoon the mixture evenly into your muffin cases. 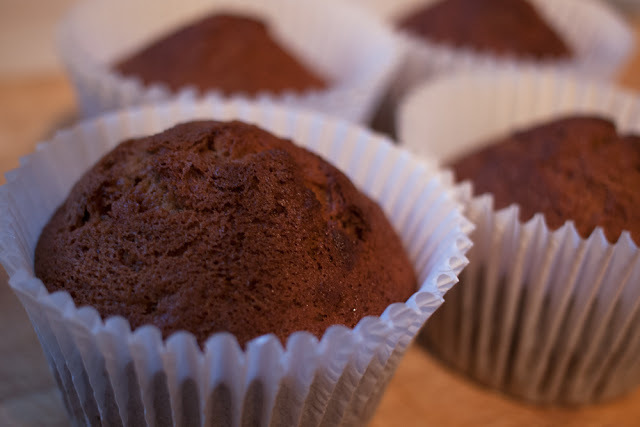 Bake for 25-30 minutes or until the muffins spring back when lightly tapped. Are those chocolately???? chocolatey banana?? that sounds rank but i'm gonna trust you. Did you use cocoa or melted actual chocolate?? that is bizarre!!!! o.O But kinda cool, like magic!